TREAD MEAL Our strange, tubular friend has always known the best spots for grub. Oftentimes, especially in today's world of nutritional science and genetically modified foods, I wonder about the evolution of eating and etiquette. Our Medieval past of eating with our hands continues to connect with our present when it comes to dining on chicken fingers and wings, tacos, hot dogs and french fries. Thanks to 16th-century Queen of France Catherine de' Medici, we have evolved into a civilized people who use utensils to eat most of our food. Post–World War II, food engineers were put on the frontlines to create processed food in an effort to prevent famine. A typical family dinner entailed peeling off foil from an oven-cooked frozen dinner to which each family member consumed on a folding tray table while watching television. Today, we still peel, but it is on occasion and without foil; we peel a biodegradable plastic film to reveal a healthier version of a frozen breakfast, lunch or dinner. Or we substitute a meal to consume the daily recommended vegetable and fruit intake in the form of a smoothie. The driving force behind what works and what doesn't in the food world is taste, but how did the idea of taste begin? Simply stated, the French can take credit. The French Revolution and Napoleon's influence on social life set the stage for taste—quite literally, in fact. Taste in reference to gastronomy grew from the term used in the company of music, art, theater, literature and architecture. Taste was in itself a society of people who were ranked by social status. It wasn't until 1739 that cooking became one of the fine arts, perfected by the French in classical culinary talent. Before the gastronomic revolution, food served a medicinal purpose. People would consume iced drinks only to change body temperature, and those who had distaste for a particular food were viewed as hostile. Commoners ate root vegetables while the social elite indulged on meat, fruits and desserts. Taste was unessential until the second half of the 17th century, about the same time sugar parlayed from its use as a pharmaceutical and was introduced in the form of desserts. Choices led to culinary temperaments, which in turn introduced the idea of multiple courses. Variety is the spice of life, and this concept remains today, but the French will forever take center stage in gastronomy. If you want proof, take a trip to France and indulge in the various pastries, breads, cheeses, sauces and pâtés of which the rest of the world strives to emulate. 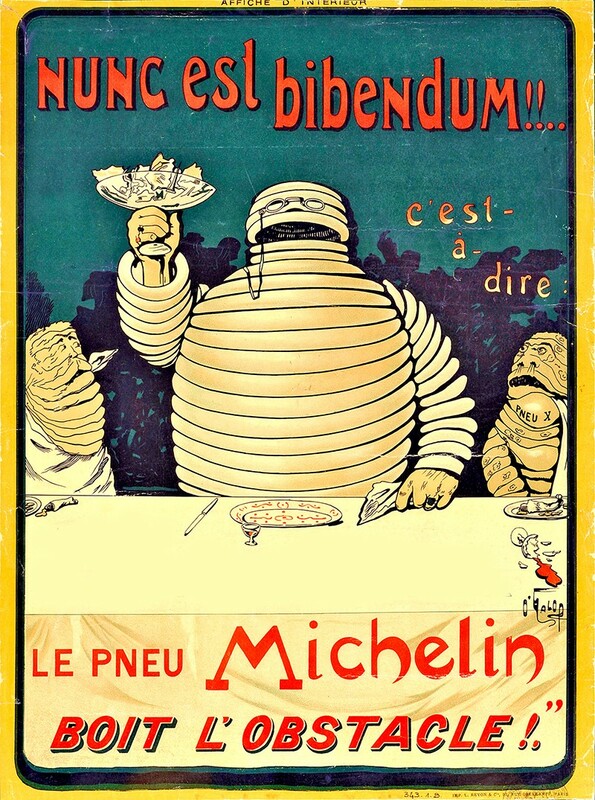 And remember where those Michelin stars began: In 1889 central France, André and Édouard Michelin created a tire company for which they developed a marketing campaign targeted to the almost 3,000 automobile owners at that time. The idea was to create a guide for road trips. Travelers were most interested in the categorical status of dining they developed, and by 1926, the Michelin star was born to differentiate status. This year, the San Francisco Bay Area was awarded the most Michelin three-stars in all of the United States.